We were not looking forwards to it. After two years of asking, begging, nagging and demanding, the children had finally won. We had bought the tickets. We had found someone to look after the dog. We had planned the route. We were all set for a visit to Disneyland Paris. It spread before us like some kind of punishment out of Dante. 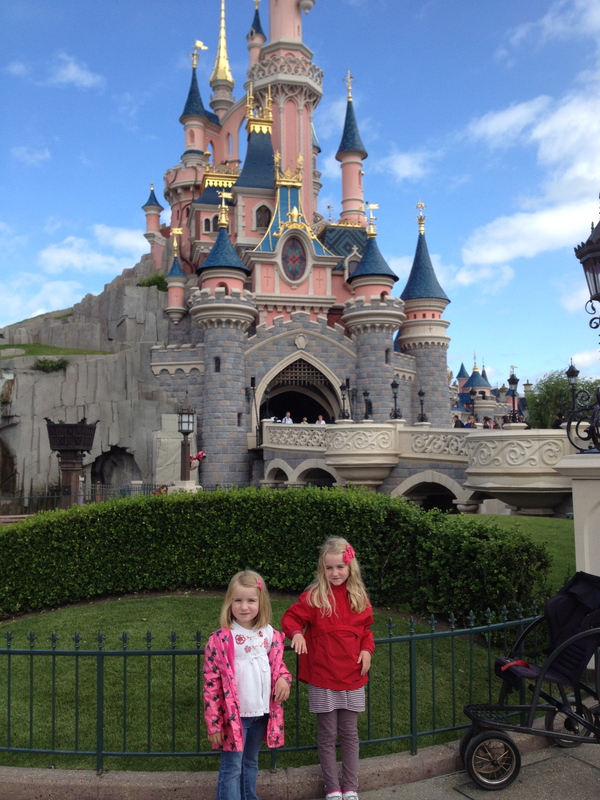 We had both visited Disneyworld Florida as pre-teens, and couldn’t see how Disneyland Paris would stack up. It was small! It was in France! Well, at least the food might be good. As you may have realised by now, our expectations really were rock bottom. And perhaps that’s why, in the end, it didn’t seem quite so bad as all that. Or perhaps some of that Disney magic dust simply rubbed off on us. Bring children at the right age. 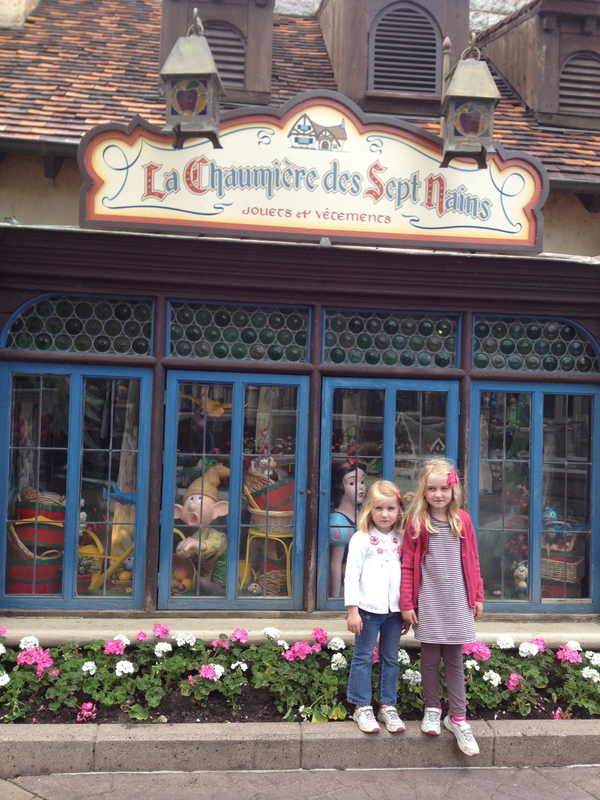 Disney has focused hard on girls aged 3-8 in the last years, and that shows in the Disneyland Paris product. Fantasyland, with its focus on fairy tales and princesses, dominates the park. Space Mountain and other rides for older kids feel like afterthoughts. Don’t promise the kids that they will see the Disney characters close-up. I have this memory of meting Disney characters on the street in Florida. That didn’t happen here. 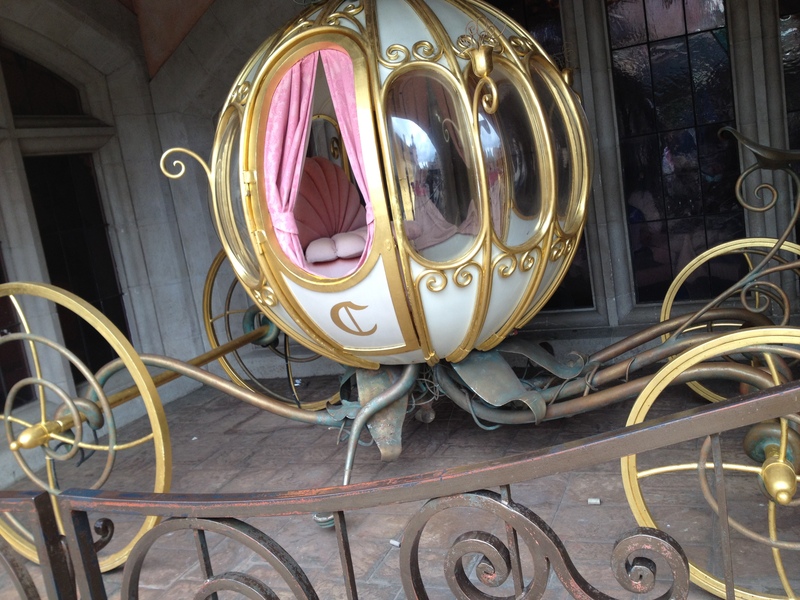 To meet a Disney princess, you either had to queue up at the princess palace for about two hours, or pay Michelin prices to eat a burger with Cinderella. We weren’t willing to do either, and it made me cross. Aren’t the entrance tickets expensive enough already? Visit off-peak, or at least when not all European schoolchildren are on holiday. We went during UK school half term in June. It was packed with Brits, and no one else. Don’t expect the enthusiasm of the US Disney crews. Service on the rides was functional and professional, but never really fun or enthusiastic. It’s just not that French to get so into things, is it. Buy tickets online in advance and you can walk right in when you get there. Don’t stay overnight at one of the high-priced park hotels if you can avoid it. We are lucky to be two hours, door to door, from the park. Leave at 8 an and arrive by 10 am as the gates are opening. Leave after the parade, and you’re home before 10 pm. Disneyland Paris is small enough to cover in a day. Limit the pain. In order to cover the park in a day, plan your circuit. A quick post to Facebook and Twitter in the morning prompted fast recommendations from friends with children the same ages as ours. We made a beeline for the rides they recommended. Use FastTrack. Some of the rides – like Peter Pan and Buzz Lightyear- have the FastTrack system where you can swipe your park entry ticket and get a ticket to return to a ride at a specific time later in the day. So instead of standing in line you can try out other rides while you wait and then cut to the front of the queue at the specified time. Bring your own picnic. Disney may have brought its magic to Paris, but hasn’t let Paris bring its food to Disney. In the land of fresh and sensitively prepared food, Disney offered little more than the kind of microwaved fast food you might find at a motorway service station, but more expensive: over-toasted ham sandwiches, wilted salad wrapped in plastic. Do stay for the parade. You’re tired, and it’s tempting to leave and avoid the crowds. But at around 7 pm each evening, Disney puts on a real spectacle. The costumes and floats are extravagant, the dance routines carefully choreographed, and the performers could be anywhere in the world. Like it or not, it’s pure on-brand Disney magic. Thanks mate – anticipating the experience tomorrow with my two nippers. Fingers crossed we’ll survive! We are heading to Orlando this winter for their version of the Disney experience. Oh my. Why oh why? I thought I’d sworn off after five visits while living on the West Coast. It’s like labor. You forget the pain and only see the beautiful, happy faces of your children. Interesting post! I’m going with my 3 flatmates at the end of May so we’re trying to get as much information as possible. Hope you had a great trip!